Guests whom have been added to a Contact List, they can be edited or deleted from the list. Contacts, whom are users in Chalk & Wire, cannot be edited, but can be deleted from a contact list. 1. 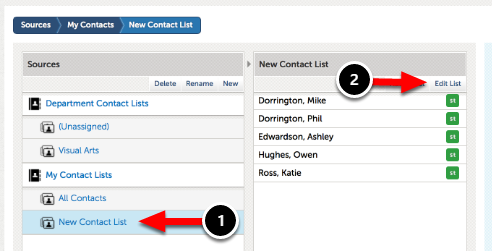 In the Sources column, select the contact list that contains the user that you would like to edit. 2. 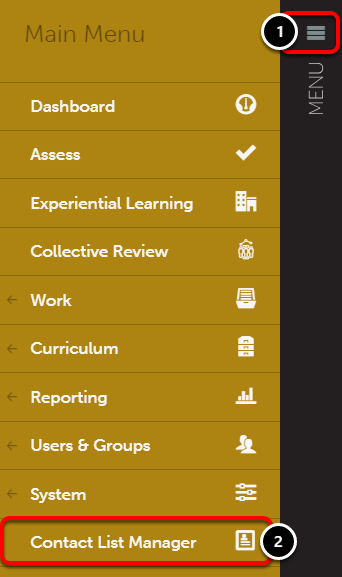 In the middle column, select the Guest that you would like to edit. 1. Click on the Contact List in the Sources column. 2. Click on the Edit List button. 3. Click on the Guest's name whom you would like to delete.